This guide is an introduction to Shakespeare for 6th grade students. Can you unscramble these Shakespearean words? 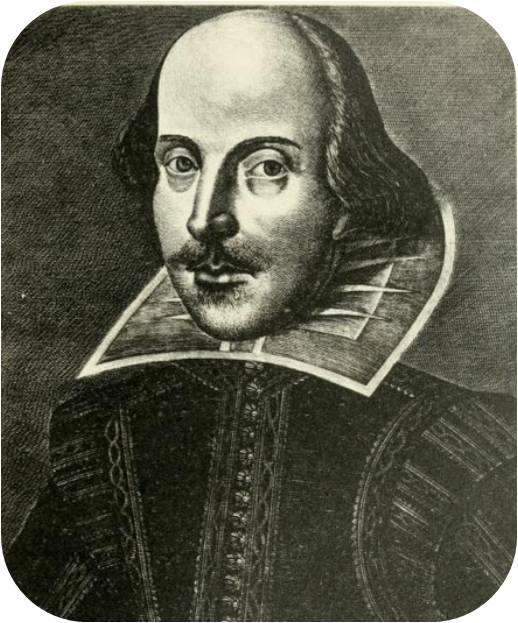 This copper engraving picture of William Shakespeare by Martin Droeshout was published on the title page of the First Folio in 1623. Extensive information about the Bard's life and work. A children's history of Shakespeare put together by the BBC. Includes 13 short videos answering questions about Shakespeare's life, along with information about his home. The Folger Shakespeare Library's site for kids, with fun facts and games.